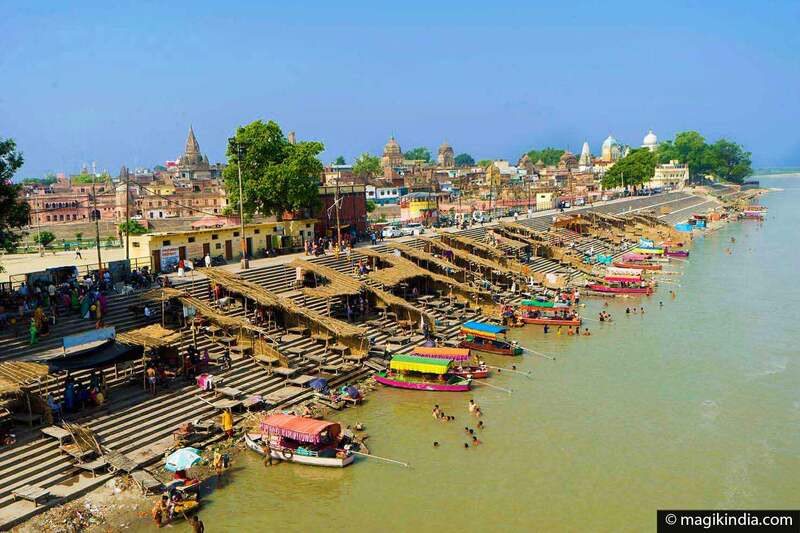 Ayodhya, set on the banks of the Sarayu river, is a mythical city: it is said to have been the capital of the Kosala Kingdom, which saw the birth of Lord Rama, the famous hero of the Ramayana epic. 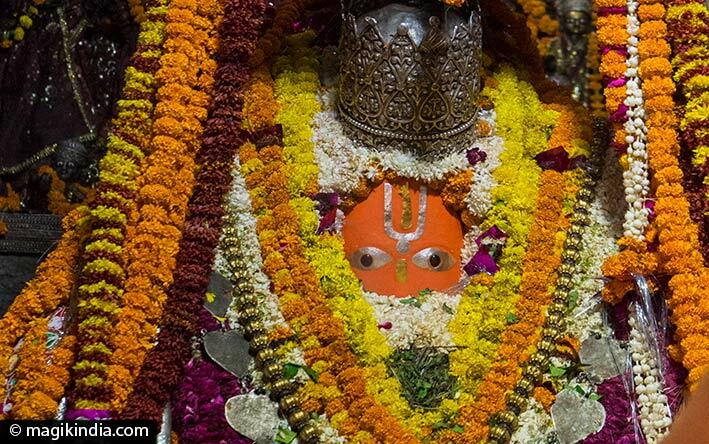 As such, it is considered by Hindus as one of the seven most sacred cities of India (Sapta Puri). Like all pilgrimages places, the spiritual fervor is palpable there even if the city has been the centre of a religious conflict since two decades. 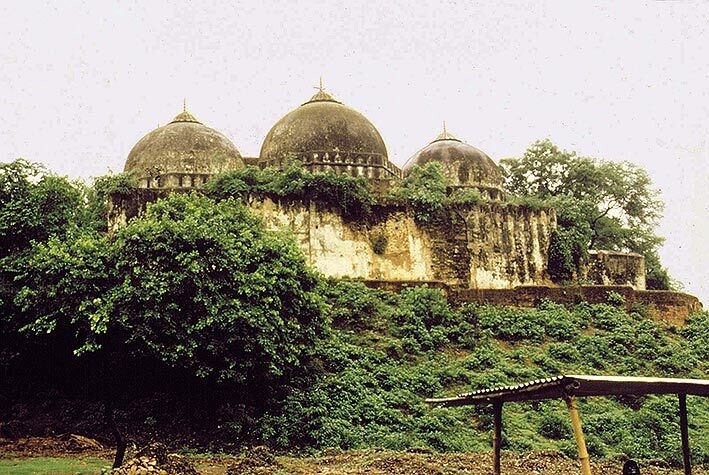 The conflict of Ayodhya originates in Hindu mythology itself; it is said that, originally, the birthplace of Rama was marked by a temple demolished by the Mughal emperor Babur and replaced in 1528 by the Badri mosque. Babri Mosque was one of the largest in Uttar Pradesh. 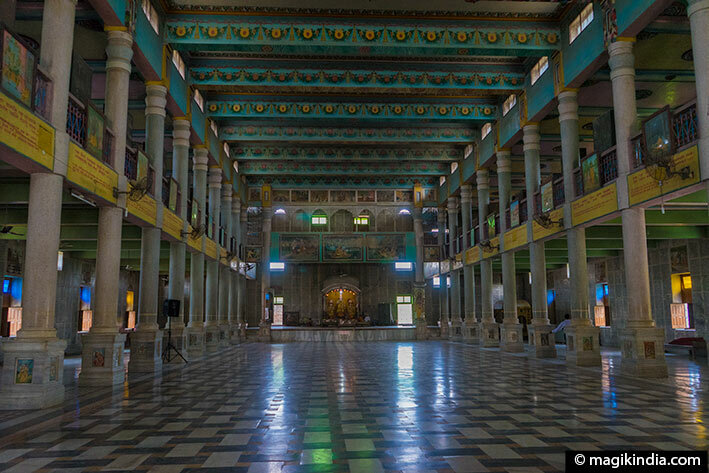 Both Hindus and Muslims would gather in this ‘mosque-temple’, also called ‘masjid-i-janmasthan’ (‘mosque built on the place of birth’); the Muslims inside and the Hindus outside. Archaeological excavations have proved the existence of an important Hindu structure anterior to the mosque without being able to prove with certainty that this is the very temple of Rama. Moreover, although most researchers agree that the current city of Ayodhya is indeed that of the old texts, this theory is not universally accepted. 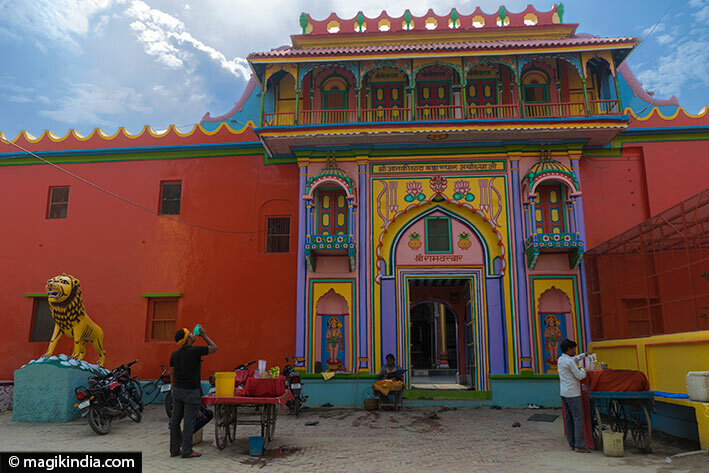 In 1992, during a massive Hindu political rally that turned into a riot, the Badri mosque was destroyed with the intention for Hindu activists to rebuild the Rama temple at this very place. The case was brought before the High Court of Justice of Allahabad, which in a ruling of 30 September 2010 divided 2.77 acres of land of Ayodhya equally between the Hindus and the Muslims. The parties appealed this judgment to the Supreme Court of Delhi and the case has been suspended since 7 years. The election in June 2017 of the Uttar Pradesh chief minister, Yogi Adityanath, a member of the BHP (Bharatiya Janata Party), the Hindu nationalist right, may make the difference. 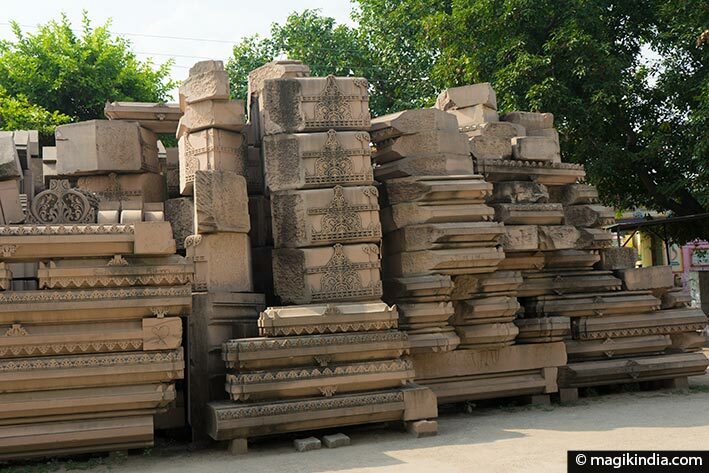 Meanwhile, 40% of the stones of the future temple has already been collected and carved from blocks of pink sandstone brought from Rajasthan. Ram Janmbhoomi is believed to be the place of birth of Lord Rama and the very place of the conflict between Hindus and Muslims (see above). 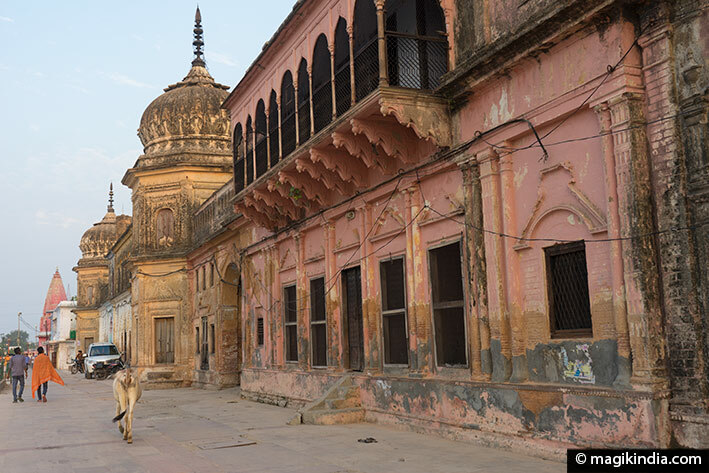 Ramkot is located to the west of Ayodhya, where the fort of Rama was supposed to be built. 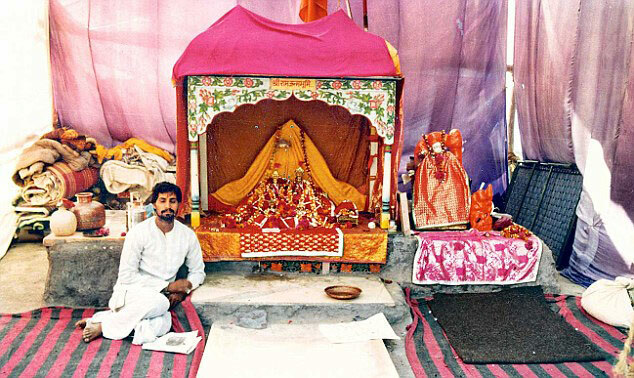 Instead of the mosque destroyed in 1992, there is a very modest temporary tent that can be seen from afar, which houses small idols of Rama and Sitha. Legend has it that the original black sandstone idols were found in the Sarayu River. The ancient fort is surrounded by temples and monasteries and receives a steady flow of pilgrims that widens considerably during Ram Ramami, the day of Rama’s birth. Since the start of the conflict, the place has been under close surveillance of the Indian army; we must leave our belongings in a locker (we only keep our wallet) and go through several security checks before reaching the holy place. 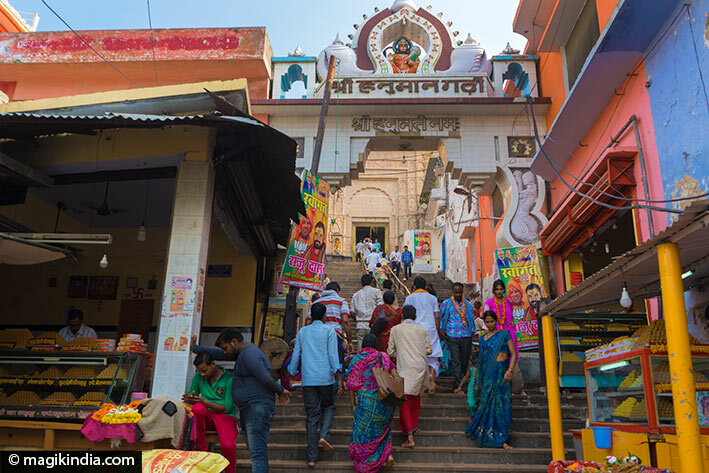 The Hindu temple of Garhi, dedicated to the monkey-god Hanuman, is nestled high in a citadel, a hundred steps leads us there. It is, along with Ramkot, the most venerated temple of Ayodhya and it is customary to visit this temple before that of Lord Rama. The sanctuary was built by the Nawabs of Lucknow in the 10th century and even if you are not Hindu, the lively atmosphere and richly decorated architecture are truly worth a look. It is said that Hanuman lived here in a cave and protected the fort of Ramkot from there. The divinity of the temple is a ‘shila’, a large decorated stone, surrounded by different statues including that of Hanuman’s mother. The faithful come with laddoos (a very popular dessert in India) in order that Hanuman bless them. They believe that praying the monkey-god will grant them luck and prosperity. 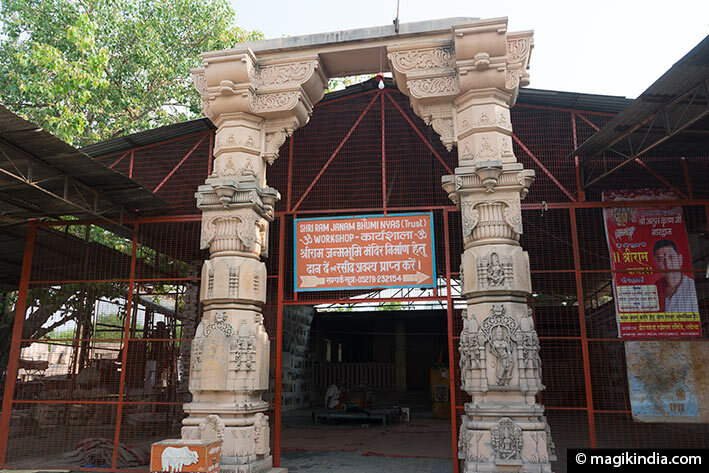 Kanak Bhawan is about 1000 meters from the Hanuman Garhi Temple. 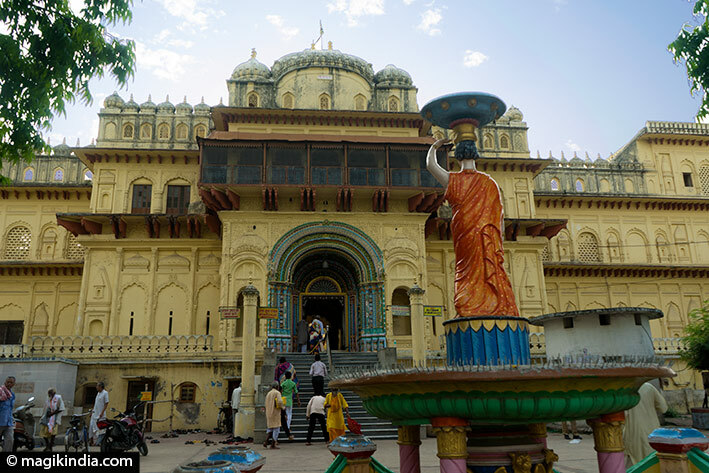 It is certainly one of the most beautiful temples of Ayodhya built in 1891 by Vrishbhanu Kuvari, the queen of Tikamgarh in the current state of Madhya Pradesh. Legend has it that Mata Kakai (the Mother of Rama) gave this palace to Rama and his wife Sitha as a marriage gift. 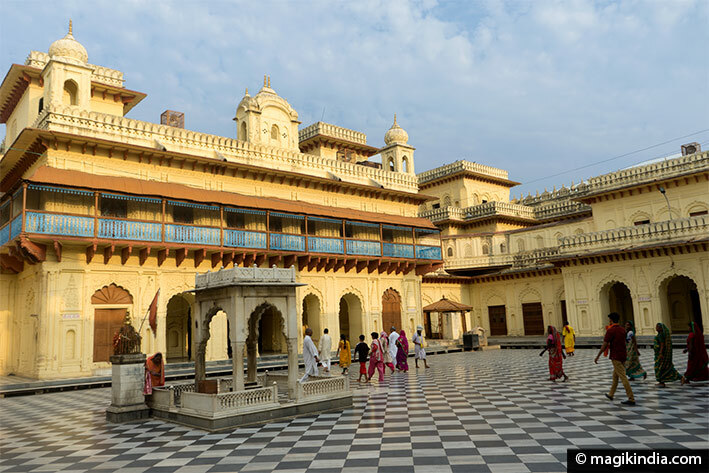 It is said that it was originally covered with gold, hence its name ‘Sone-ka-Mandir’ (‘Golden Temple’). 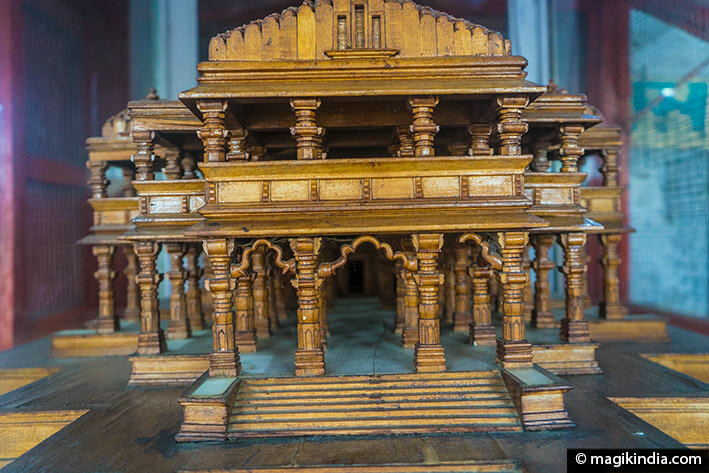 This peaceful temple with black and white tiles houses the idols of Sitha and Rama as well as his three brothers: Lakshmana, Bharata and Shatrughna. Rama Darbar is said to be the original palace of Rama but this is controversial subject. 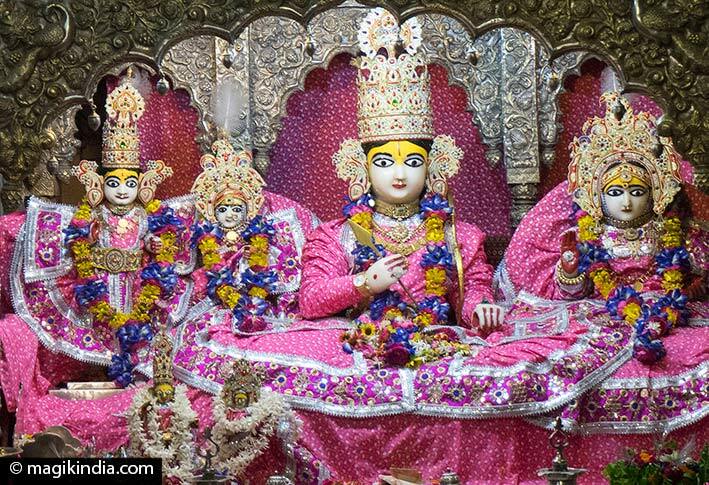 It contains a temple dedicated to Rama and his family. The place serves free meals every day to the needy. 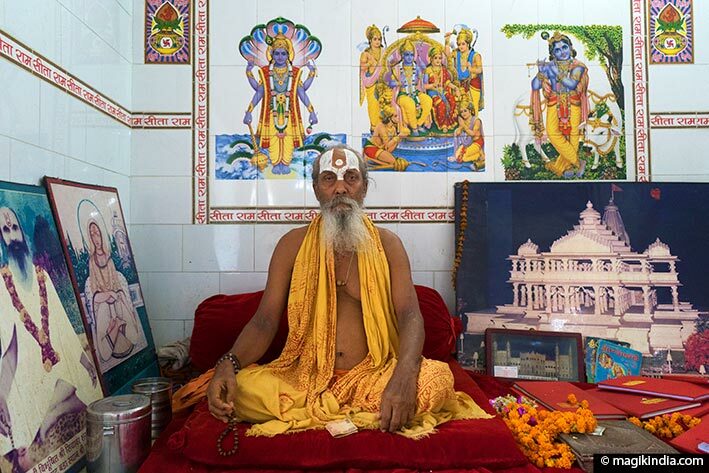 The brahmin (priest of the temple), Ram Das, has been fasting since 24 years; he only eats fruit and drink milk. It iss a militant act for the rehabilitation of the Rama temple. 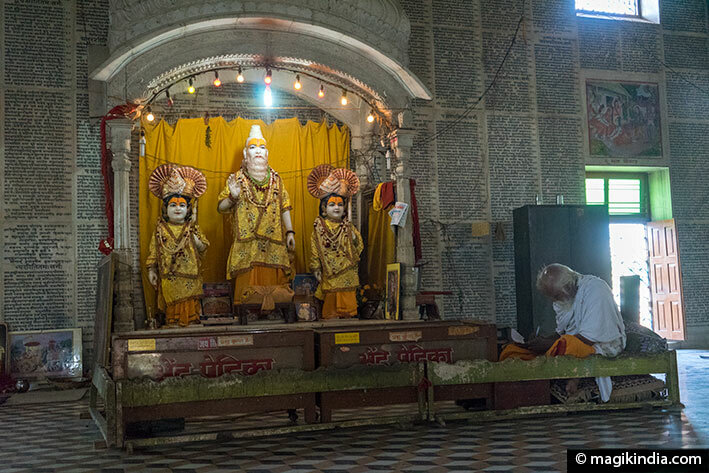 Sri Maniram Das Chavani is a temple dedicated to the memory of the author of the Ramayana, Valmiki. 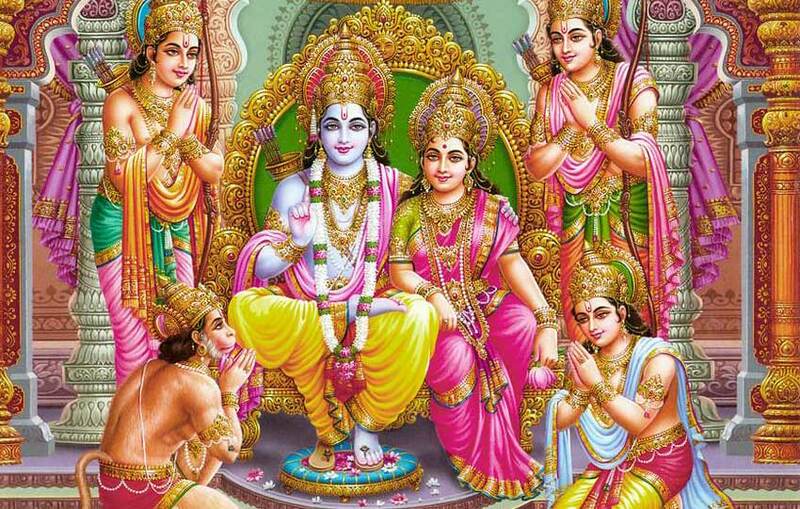 The entire epic of Lord Rama is inscribed on the walls of the immense hall of the temple. At the other end of the hall, opposite the entrance, the idols of Lav and Kush, the two sons of Rama and Sitha, surround that of their adoptive father and instructor, Valmiki. 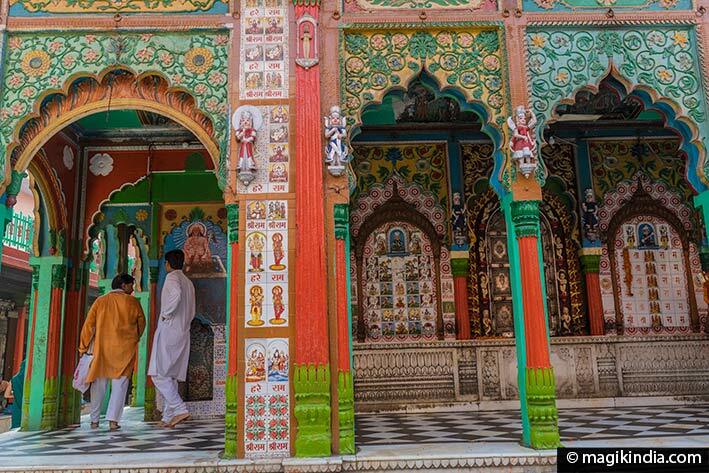 In India, a high place of pilgrimage is never far from a sacred river and vis-versa. This is the case of Ayodhya. The river Sarayu flows north of the city and the Hindus gather on its banks (Naya ghats) to make their ablutions and ritual offerings. 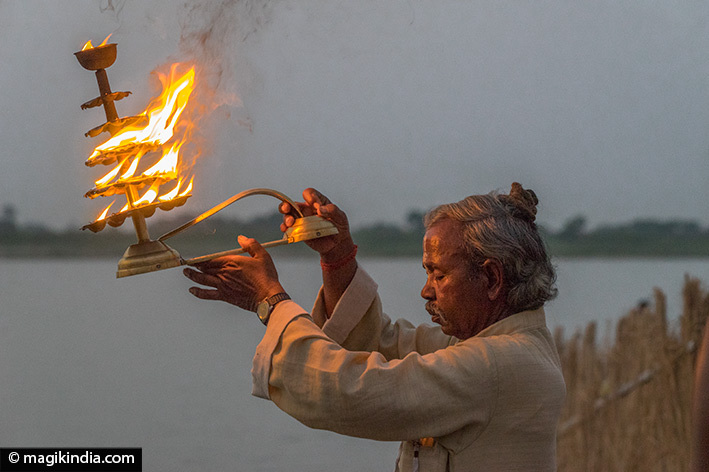 In the evening, around 7 am, an arati (flame offering) is made to thanks the river for its benefits. Right next door are the Ram Ki Pairi’s ghats* surrounded by old temples and gardens which, by the way, are very poorly maintained … what a pity! The 25 ghats were rebuilt in 1985 to accommodate the thousands of pilgrims who assembled during the great religious festivals. The water in the Ram Ki Pairi basins is pumped directly from the Sarayu River. 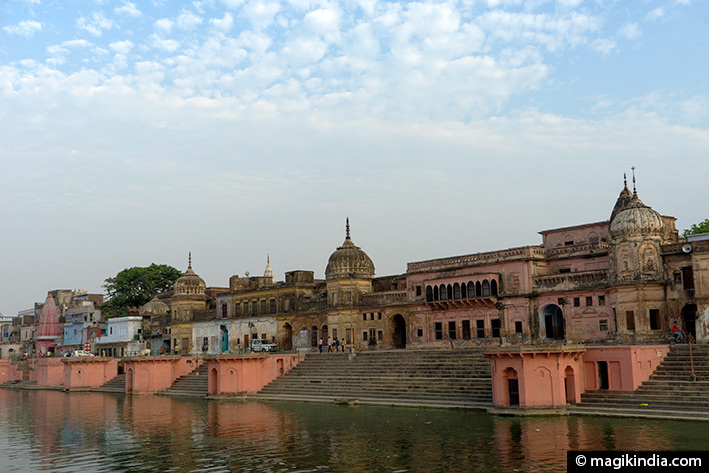 Located just next to the ‘Naya Ghats’, the temple of Nageshwarnath dedicated to the god Shiva is one of the oldest in Ayodhya; the faithful go there after the evening arati to the river Sarayu (see above). 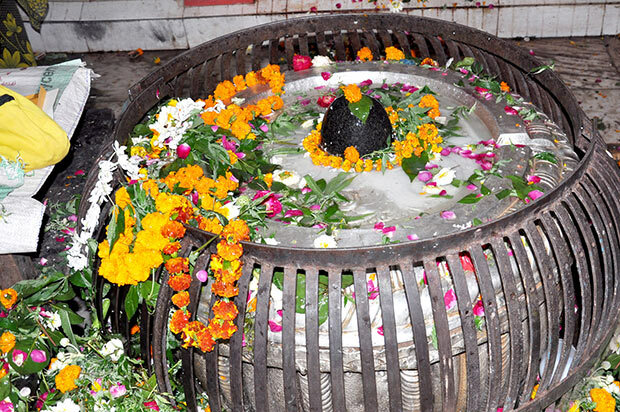 Legend has it that the temple of Nageshwarnath was built by Kush, one of the sons of Lord Rama. Kush had lost his armband bracelet while bathing in the Sarayu River. It was picked up by a Nag-Kanya (female snake guardian of the earth) who fell in love with him. As she was a fervent devotee of Shiva, Kush erected this temple for her. 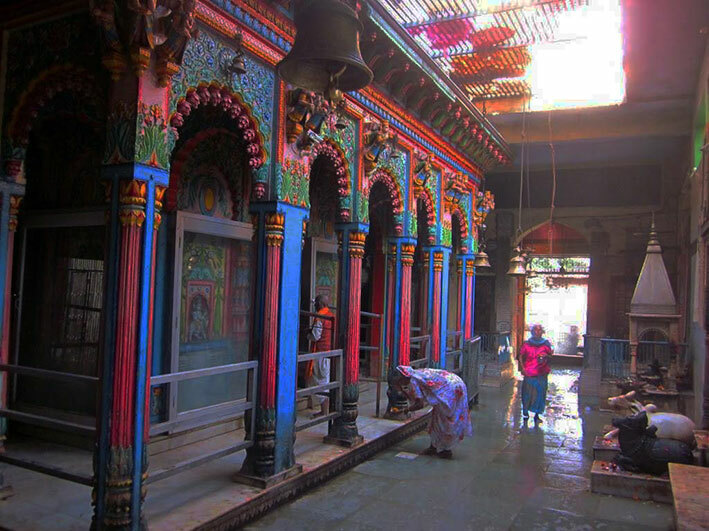 The current temple was built in 1750 and houses a lingam, symbol of the god Shiva. It is said that it was with this temple that the legendary king Vikramaditya (1st century BC) was able to locate Ayodhya and the sites of the various sanctuaries. The city had fallen into ruin and was covered with dense forests. Further excavations in the 19th and 20th centuries helped to locate the exact location of Ayodhya, although this location is still not accepted unanimously. Devotion is at its maximum in this temple during the festival of Mahashivaratri (February-March), which is celebrated with great pomp. 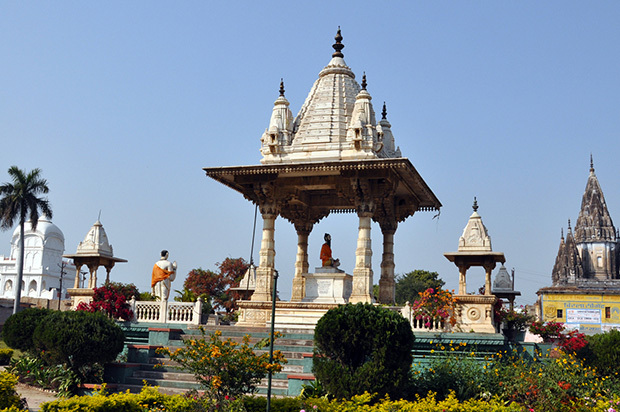 Located near the national road, Tulsi Smarak Bhawan is a complex built in 1969 in tribute to Goswami Tulsida. Goswami Tulsidas is an Indian poet and philosopher, best known for his version of the Ramayana, the Ramcharitmanas. There is a research institute (Ayodhya Shodh Sansthan) with an extensive library of Hindi books and literary compositions on Goswami Tulsidas. Cultural programs are held every day from 18:00 to 21:00 at the Tulsi Smarak auditorium; the main attraction is the ‘Ram Lila’, a play about the life of the god Rama. Other activities such as prayer, religious discussions, devotional songs (bhajans and kirtans) are also organized. 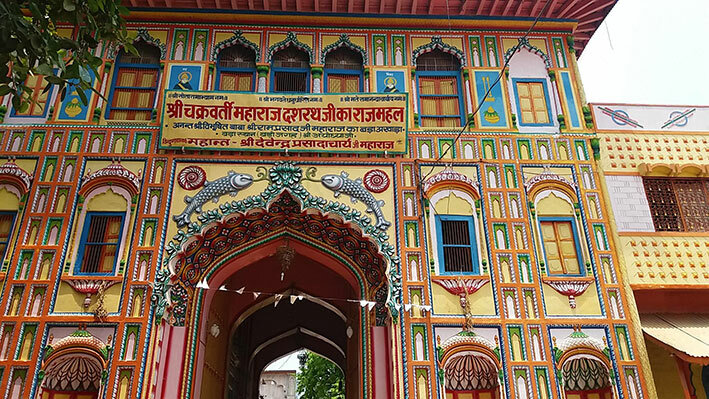 This very colorful edifice is said to be the palace in which King Dasharatha resided with his family. Dasharatha descended from the Suryavamsa dynasty (sun dynasty) and was the king of Ayodhya and the father of Rama as mentioned in the Hindu epic, the Ramayana. 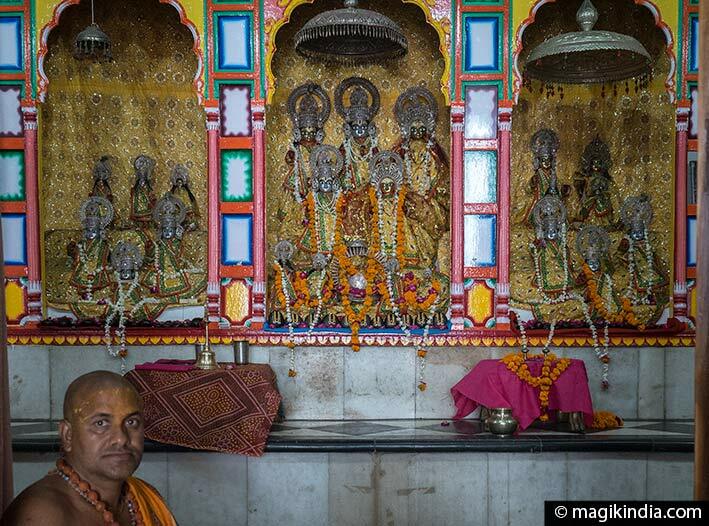 The place now houses a temple, with the idols of Sitha, Rama and his brothers Lakshmana, Bharat and Shatrughan. hi there I really hope you will help me. I want to study and acquire knowledge regarding mythology and history related to uttar pradesh . I don’t know from where to begin. I’ll be really greatful to you if you help me out and guide me. Hi dear Suresh, Thanks for you message. 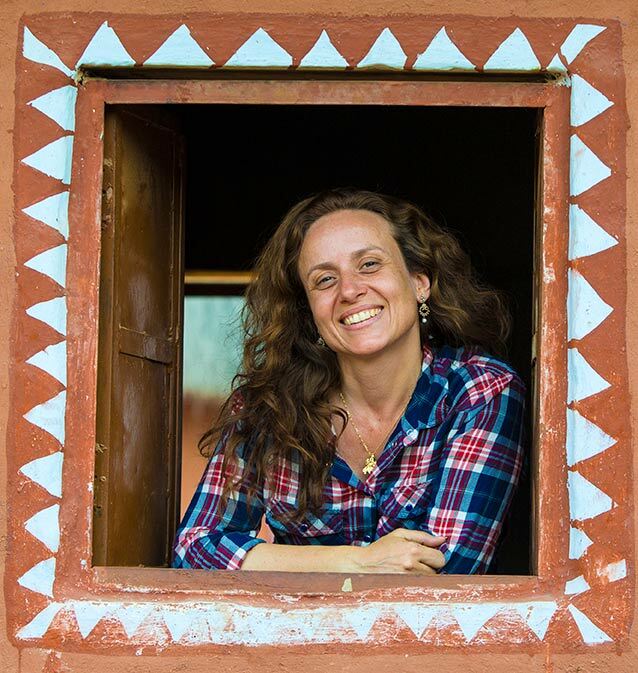 Actually I have no tips to give you, maybe try the Madhya Pradesh officila website http://www.mptourism.com and try to contact someone from there.